There are few people in this world capable of racing a 49er FX around a course more quickly than Helena Scutt ’14. The two-time Stanford sailing team captain recently qualified for the 2016 Olympic Games after she and skipper Paris Henken topped their domestic competition, and the duo is now in the midst of making preparations to square off against top teams from around the globe. Henken and Scutt secured their spot in the world’s premier athletic event after finishing 13th at the World Championship last month, 21 places above the next American boat. This result marked the capstone of a multi-year campaign by the pair to become the first U.S. team ever to represent its nation in the 49er FX, a high-performance sailboat that will also make its Olympic debut in 2016. “You get so wrapped up in the process, and then all of a sudden it’s like, ‘Wait, we actually achieved a big part of what we wanted to,’” Scutt said. Scutt’s and Henken’s finish put them above participants from all but nine other countries, an important distinction considering the Olympics only allows one boat per nation. Though the pair narrowly missed the ability to participate in the event-ending medal race, their result was the highest they’ve ever achieved in a championship event, and the team hopes it has proven that it can compete with the uppermost level of competition. Scutt’s and Henken’s pathway to the Games has not been without obstacle. Scutt has battled back from multiple injuries, including a series of serious traumas sustained in a horrific 2013 boat-to-boat collision and a more recent carpal tunnel disorder caused by the sheer number of hours she has spent on the water. The team has also rebounded from a few difficult results, including a 20th-place performance at the 2015 World Championship that left it briefly uncertain of whether the U.S. would even be able to send a representative to the Olympics. Regardless of how they manage in their ultimate challenge, Scutt will put an end to her full-time training regimen after the Games and will return to school next September. 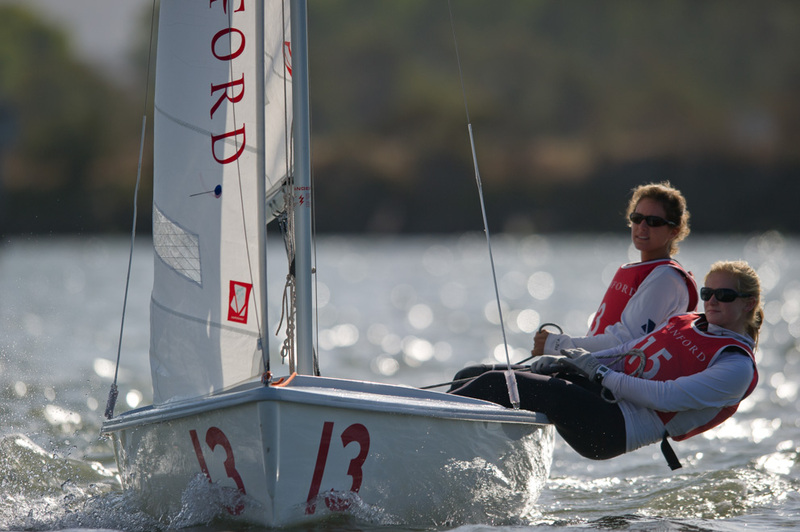 She and Henken have secured funding to continue sailing together through 2017, but Scutt will simultaneously push to complete a Stanford master’s degree with time yet again of the essence.